'One Shot, One Kill.' Sniper motto. That's what they taught us anyway. That was once upon a time. A life long gone. Another lifetime. It was at the Kenya Army School of Infantry. The training was vigorous, and dangerous. 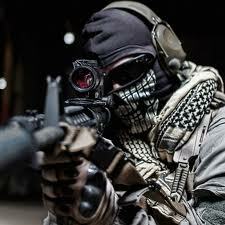 First, I trained as a Recon Ranger, then Special Forces sniper. I was Killer No.13. Lucky thirteen, enhe! Turned to a razor-sharp weapon, killing machine. Then was enrolled for a secret hit squad that never existed, and it doesn't exist. Our missions were TOP SECRET. We eliminated the highest value targets that could be threat to national and regional, make that international, security. The only problem was that the pay was paltry. You know how the government, especially the forces, is mean. Solution? I went freelance. In the mansions of powers that be I am respected, and honoured, and a solution to all problems – both political and religious.